New Delhi is a vast city with numerous things to do while you're in the city for a visit. Among the various tourist places to head to in New Delhi, a shopping trip to Dilli Haat should not be missed. 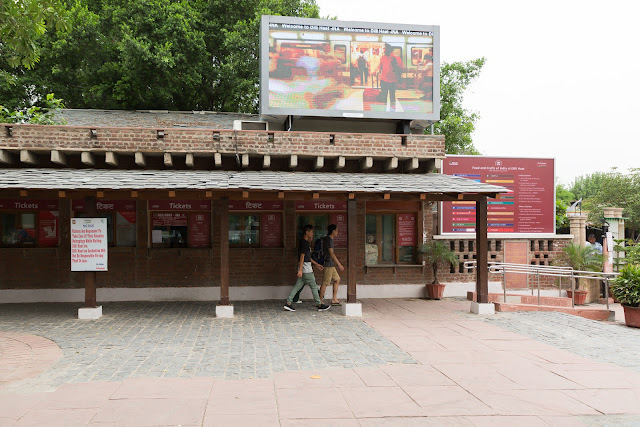 Dilli Haat is located across INA market with its own designated metro station. Dilli Haat is basically a huge street market that is organised well and has a lot to offer. The prices are pretty reasonable compared to other tourist markets in Delhi. If you can bargain well, it can prove to be a great shopping haunt. The thing I love most about this place is that it gives you a feel about India as a whole. You’ll find food and handicraft items from every state here. It instantly transports me to various states in India without travelling to every separate state. You’ll find everything here like artwork, shawls, clothes, lights, cushion covers, souvenirs, henna designing, wooden items, antique furniture and so much more. The shopping here is vast and varied. It gives you an opportunity to pick up something from a state in India that you may not even visit. 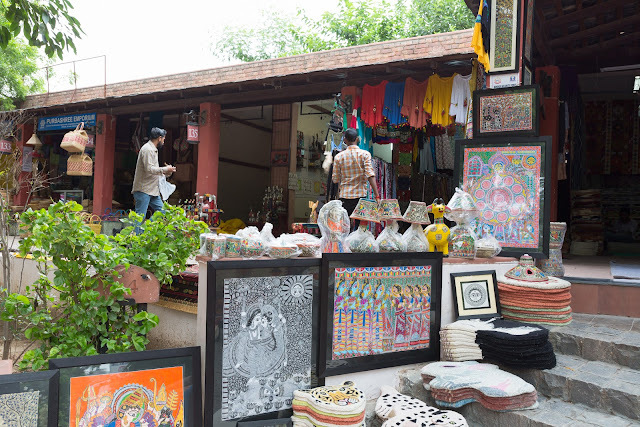 The best part of Dilli Haat is, you’ll never find the same shops over time. The shops set up for a few weeks or months as they book spaces and then move out and new shops turn up. While it does seem like some shops stay here forever, I’ve seen a few that have been around for months, you’ll get some variety over time. 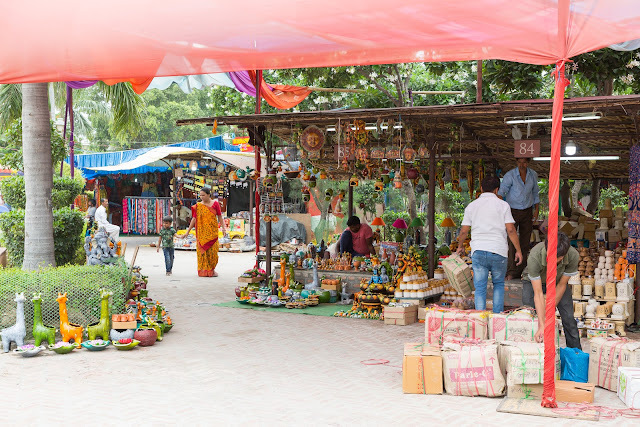 If you head over during festival times like Holi or Diwali, you will find the place decorated accordingly, therefore giving you a festive feel as you shop. As you're planning out your shopping trip while in New Delhi, my advice would be to head here first and then head out to other markets later on. I’ve found that you get items cheaper here as compared to places like Janpath and Connaught Place. You’ll also get variety unlike the other markets. To enter the compound, you’ll need to pay a nominal fee for entry at the ticket booths located at the entrance. While you’ll get food here, I’d honestly avoid it. The food isn’t that great to begin with and it is never consistent. I’d have great noodles one day and another day get served oily noodles. I’ve also had food poisoning twice when I’ve eaten here. So if you’re a local Indian tourist and you have a great stomach, go ahead and try the food. Foreigners beware, you might get the Delhi Belly while you’re here. Bargaining at Dilli Haat if you’re a tourist is pretty simple. If you’re quoted a price, half it straightaway. I’ve found that locals get away with half price off. Unfortunately, if you’re a western tourist, they might not reduce it as much. As a general guide, if you get one-third off the price you were quoted, that would be a good deal. Don’t miss a visit to the Tribes of India shop while you're here. It is located closer to the front entrance in a small area on the side. Ask the shopkeepers in the area, they’ll help direct you. In the Tribes of India shop, you’ll find items made by the local tribes in India. Items such as pure turmeric, honey, green tea from Assam and so much more. By purchasing here, you’re also helping the tribes. 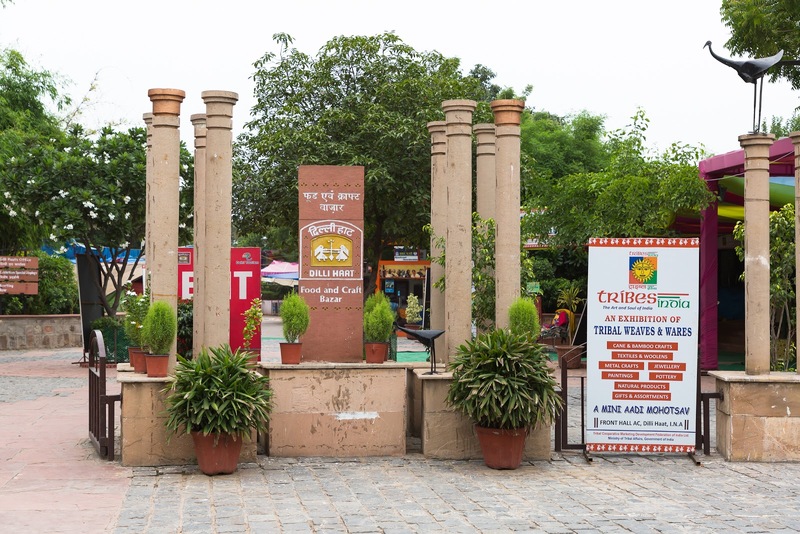 So, while in Delhi, Dilli Haat is a place that you should plan into your itinerary. Come armed with your best bargaining tactics and plan to walk out with a bag full of souvenirs and handicraft. 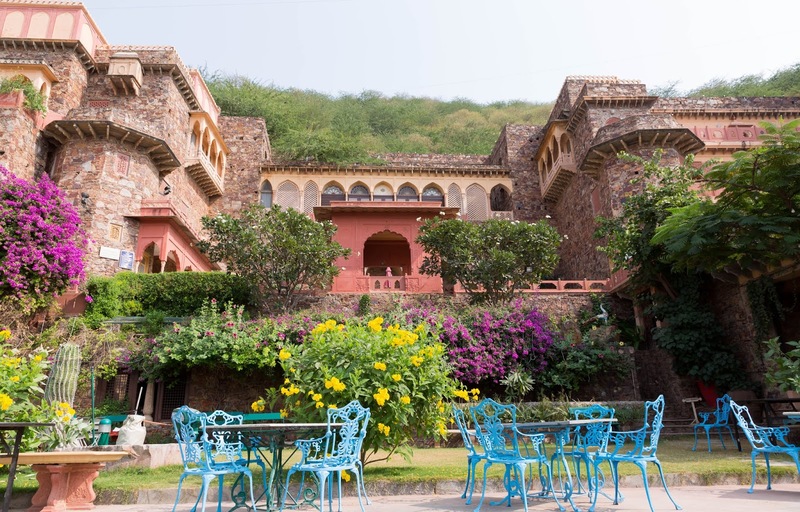 Staying at the Neemrana Fort Palace was such an experience. I've pondered over the best way to describe my one night stay here and I could think of nothing else except that it was an experience I'll never forget. Right from the moment you walk up the driveway through the huge entrance doors, to the day you leave this beautiful property, you'll have experienced nothing quite like this anywhere else. Don't expect a television in your room, you won't need one anyway. We had spent the whole evening sitting in our balcony watching the monkeys play, parrots flying about and the general activity around the fort. The sunset would have been spectacular, but we unfortunately did not experience it, thanks to the hazy conditions of the day. 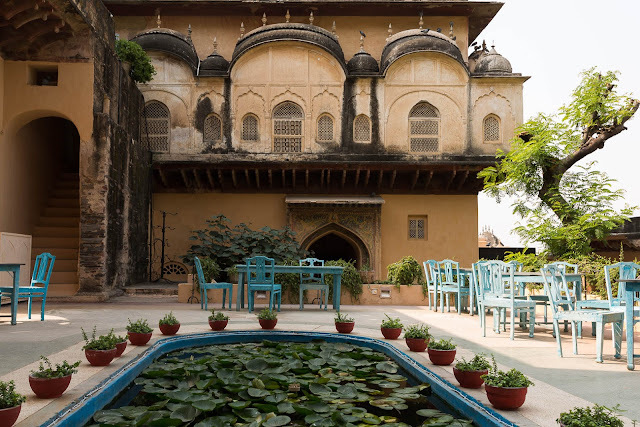 There's nothing much to do in the town of Neemrana itself, but a one or two night stay here at the Neemrana Fort Palace will have you exploring the many nooks and crannies of this property. Each turn is a new adventure. There's always something to photograph. A new perspective as the light changes. This place is a photographer's delight. 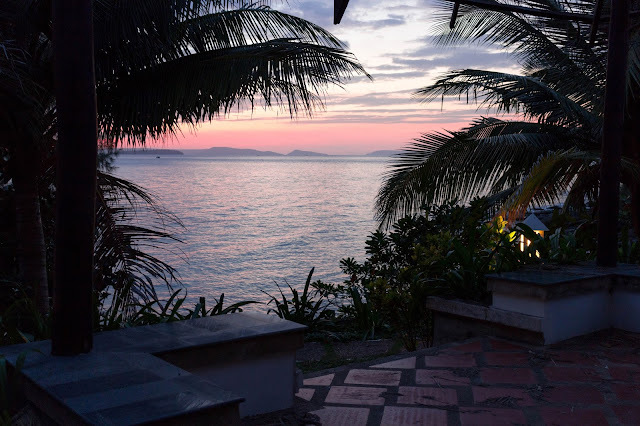 If you're an adventure freak and want nothing more than to hike up to the top of a hill and zip line across, the property can arrange for this. The property arranged for camel rides if you want to experience this. Nothing says Rajasthan as much as a camel ride. The property offers a vintage car ride as well. It offers a 5 kilometers ride for up to 4 people around the village. You'll find audio tour plaques located around the property. If you're into exploring the property, might as well get an audio tour to guide you through the place. There are 2 beautiful pools on the property. One that is on the lower area, where you'll find people congregated and sun bathing. Another private, residence only pool is on the top half of the property, it is more private and shaded and doesn't have a kid pool attached. Located near the property is an 18th century step well. The property arranges tours to the step well. The general service you experience is pretty average. There is no sense of being weighed on or people rushing to get stuff done. They even forgot to give us room slippers when we checked in. We also found a comment card from the previous occupants that wasn't collected. It isn't quite the 5 star service you envision. If you're service orientated, you may not like it here. But, if you look beyond the the price you pay, the lack of service, what you have is, a massive 15th century fort that you're living in. The issues with the imperfections, the issues with dust and the antique furniture, just fades away when you recognize that this is after all, a fort. The beauty lies in the imperfections, the adventure of being here and the majestic views. This place is ultimately, hauntingly beautiful. If you're visiting the Neemrana Fort Palace from the months of October to February, they have a compulsory Gala Dinner Fee they charge for the weekend. This includes a cultural performance and a buffet dinner. I believe it is worth it, although a little pricey, we honestly enjoyed the Bharatanatyam performance in the open auditorium. There's something beautiful about watching a traditional dance being performed in a 15th century fort. The romance of walking in paths lit by candle light and dining in the outdoors as the whole fort is lit up, was pretty much worth the extra price. As pointed out, don't expect 5 star service here. When we told friends we were coming here, the first thing people told us was to expect the service to be underwhelming. We did run into issues from the beginning. Apparently the site we had booked the hotel from, did not state that there was a compulsory fee for a Gala Dinner Night. Although not the property's fault, they could have handled the situation better. 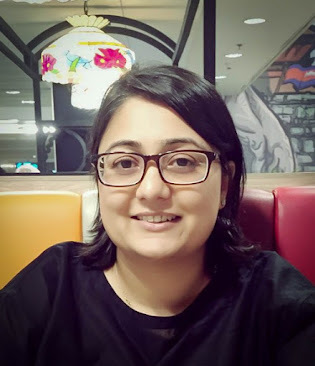 The issue was eventually rectified after a few hours but the whole issue entailed dealing with the inconvenience of having to move our plans of meeting with friends for dinner. The food was average and there just wasn't anything that stood out. We did try the cocktails and were sorely disappointed. I'd advice to stick to wine and beer should you be dining here. I honestly loved the room and appreciated that there was no television in the room. I instead spent the day outside in our private balcony. The furniture is more antique styled. The bed was very comfortable and the room pleasantly cool without the air-conditioning. The bathroom was a bit rustic but I loved it all. It just kept with the feel of the place. The only issue I had was that the bedroom slippers weren't in the room and we had to request for them. There was also a little bit of dust on the nightstands. We did find the previous occupier's comment card uncollected in the room too. 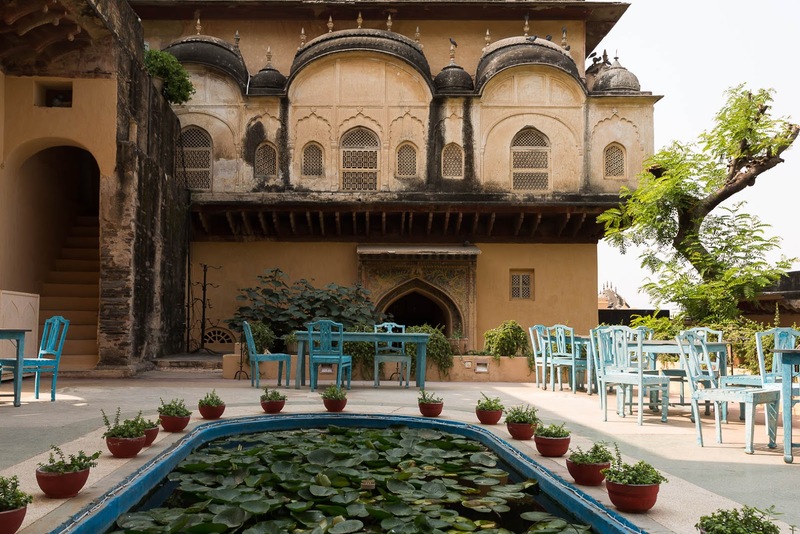 All in all, there are a few small issues here and there, but nothing that would put a damper on my stay here at the Neemrana Fort Palace. In conclusion, I'd have to say, if you weigh the pros and cons, I'd still recommend the experience of a stay at the Neemrana Fort Palace. Forget the lack of service, the facilities in the room, the inexperience of the staff and everything else. Come for the experience, you won't regret it. Planning a trip to Bali and don't know what to do while you're there. 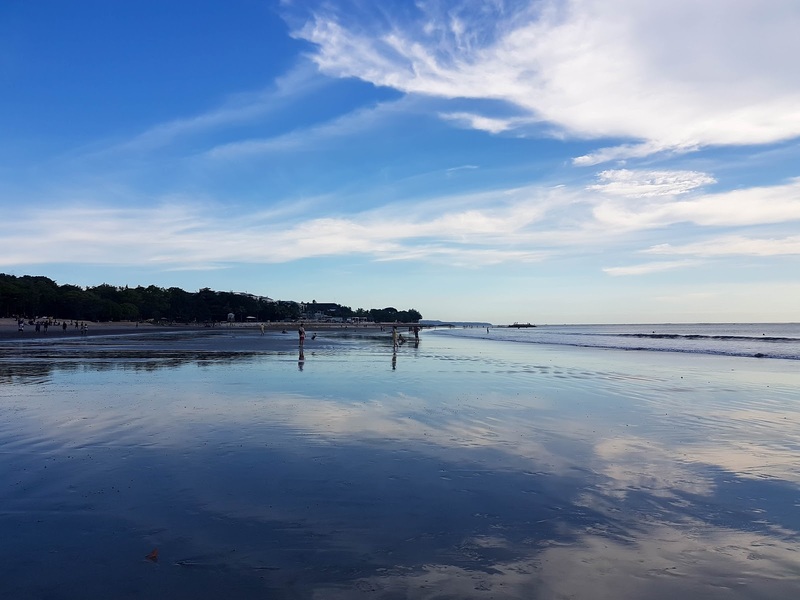 Bali has so much packed into its little island that there is never a day you'd find yourself wondering,"What do I do in Bali?" 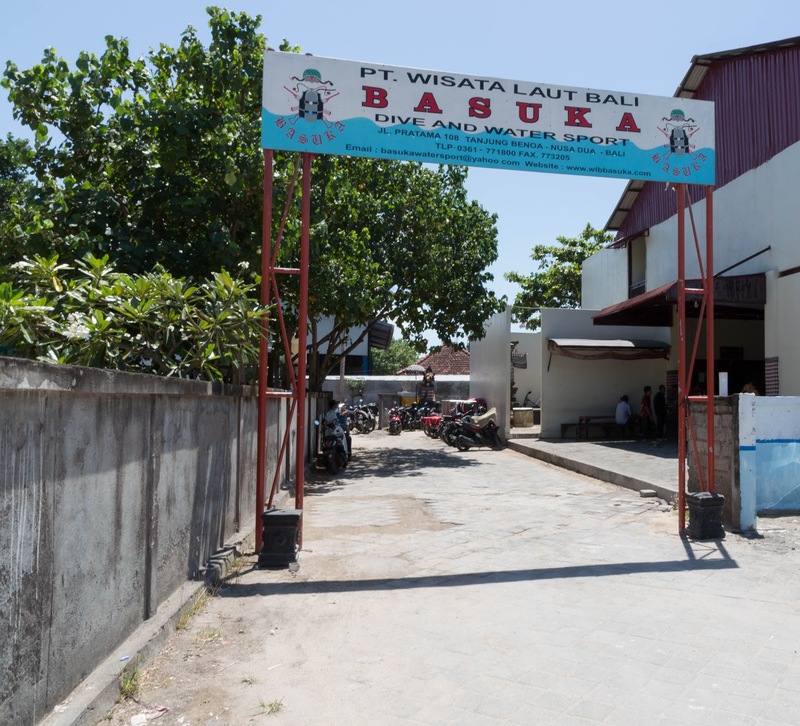 The Bali I once knew, almost decades ago: the idyllic, quiet island with very little traffic is gone. In its place is the new Bali - a commercialized version of what it was before and it isn't half as good as what it was. But saying all that, it isn't a bad place to head over to. It's just changed. There are still quiet idyllic places in the North where you can get away and enjoy Bali in a quiet reflective way. Fortunately for the party people, you still have Kuta and Seminyak to pass your nights away in a alcohol infused haze. 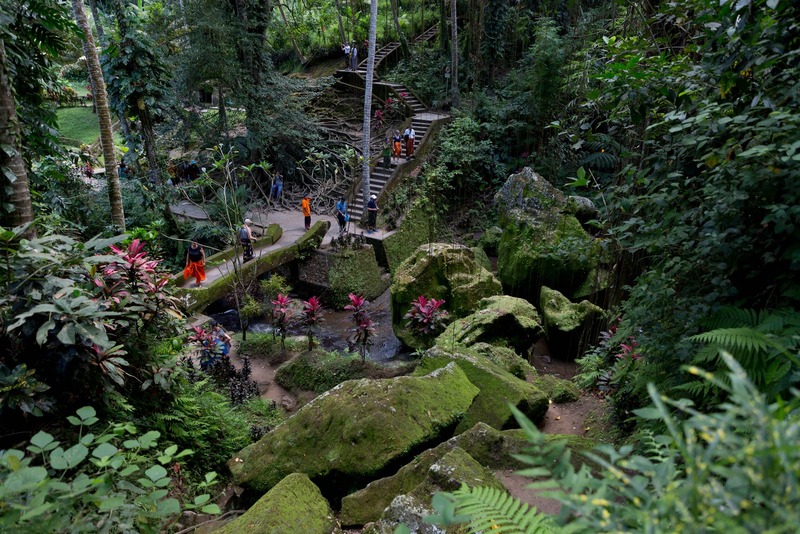 Saying this, the question comes to mind, is Bali worth it? Yes and no. It all depends on what you want to do here. If you're thinking of a four star holiday by the beach in Nusa Dua, then yes, you will enjoy Bali. What about a luxury get away in the hills and amazing views to relax? That is a great way to enjoy Bali. If you're thinking of going cheap, getting a scooter, exploring Bali while living in North Kuta and Canggu and going to the north to get away from the crowded streets of Kuta and Seminyak, then yes, Bali is worth it. Just don't expect to enjoy Bali while you're unsure of what to do or if you expect touristy museum crawling and doing a tour. You won't enjoy it. Keep your trip simple. 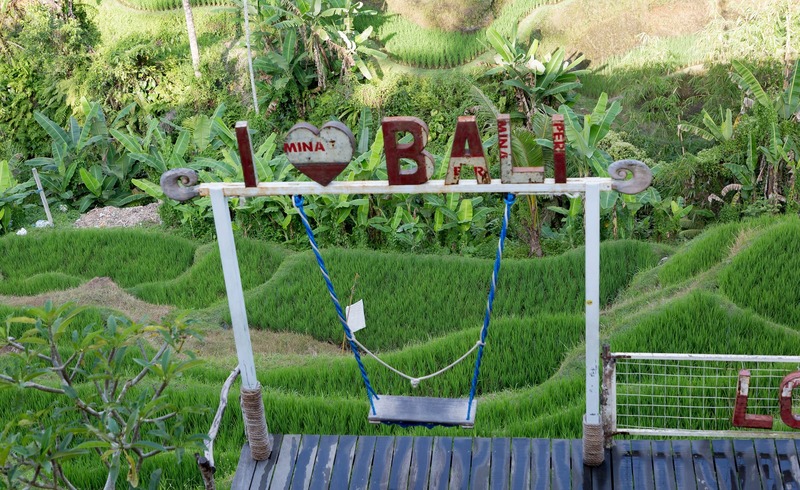 Go to Bali to relax, unwind and you'll love it here. My two cents worth, stick to two places per visit. Try Ubud and Sanur, Ubud and Nusa Dua, Ubud and Seminyak, Ubud and Kuta or Ubud and Canggu. You get the point right? Just keep it simple. Forget the massive tours available. Visit a temple or two, try to eat as local as possible, get in to see a few touristy sites and take a surfing lesson. Park yourself at the beach and enjoy a beer or two. And don't travel with people who are museum junkies (mostly talking about the hubs here). 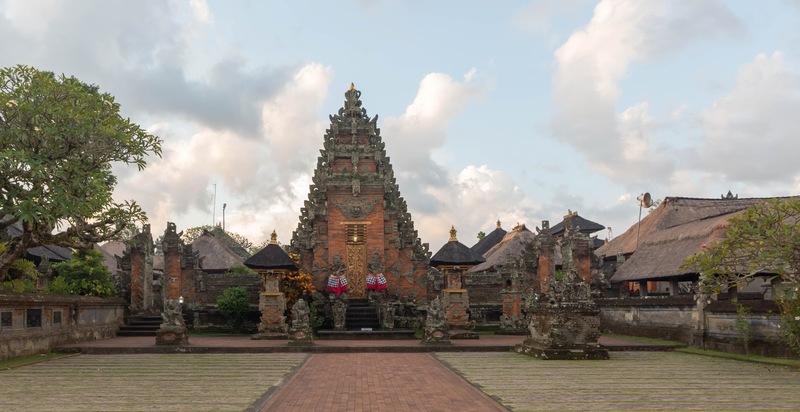 If you're travelling to Bali for the first time, you'll need to see this temple. Pretty both during low tide and high tide. The difference is you'll be able to walk up towards the temple complex at low tide. Access to the temple itself is not possible except for Balinese Hindus. Early morning, get in at 7am to beat the crowd. There's an almost peaceful like quality here early mornings. The shops aren't open yet. The sun is just coming up and there are very few tourist. Evenings at sunset, you'll have an amazing view with the sun setting and the possibility of a couple of great shots. Expect most of the shots to be filled with loads of tourist though. Almost every tour ends the evening here or at Uluwatu. Besides the cave, there is a short hike up to a pretty scenic vantage point. But other than that, there isn't much here. There aren't many boards with information of the area. If you wish to learn more, you'd have to get a guide to explain the significance of the place. Grab a scooter and visit as many as you can. 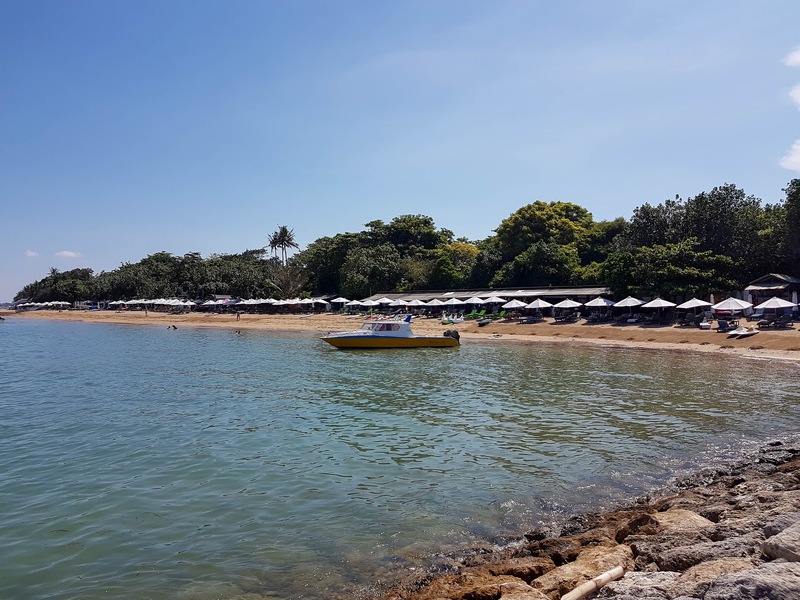 While the waters at some beaches like Kuta and Seminyak are rough, others like Sanur and Nusa Dua are calm. 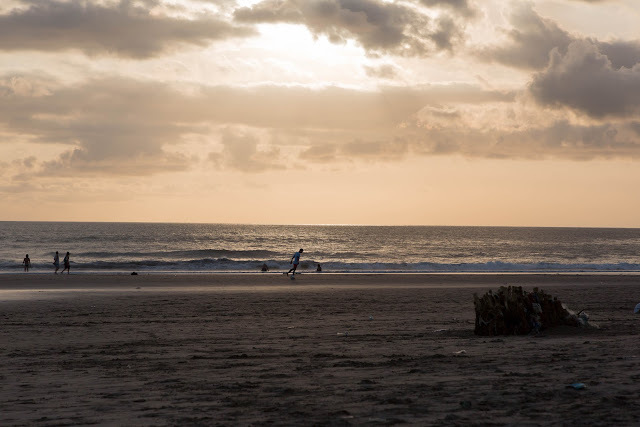 Kuta is a great place to learn how to surf. 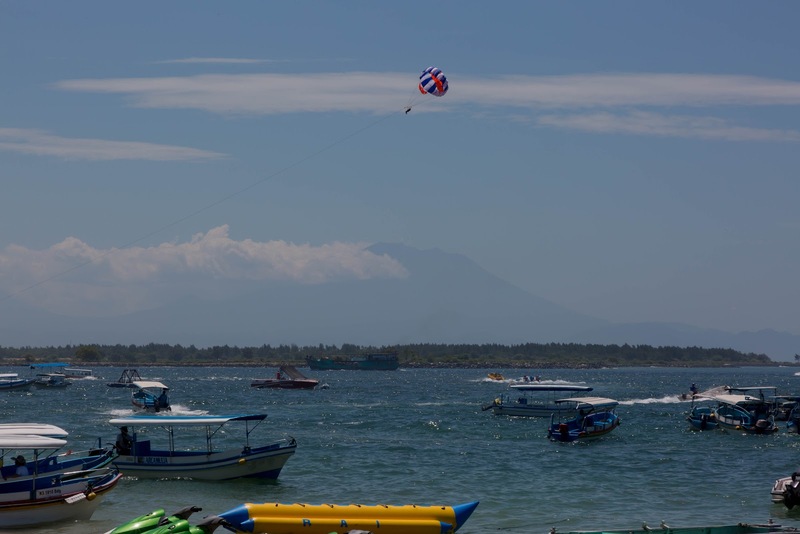 Water sports is a great idea while at Bali. Most of the water sports centers are located at Nusa Dua and Sanur. I believe Sanur will be cheaper. Snorkeling and diving are a good option but stick to big companies which have specific snorkeling trips to places like Nusa Penida and Tambulen. If you're going to be doing snorkeling, stick to companies catering a day for the activity. Don't try to take a short 20 minute snorkeling trip in between other tours, you'll regret it. Eco Bali Spa (https://www.ecobalispa.com) was simply fantastic. We loved our massage here. They used organic coconut oil so we didn't have to wash off a thick oil after our massage. The owner is just lovely and offered so much advice on what to do and see in Bali. Definitely worth a visit while you're in Seminyak. Their therapist were well trained and the rooms clean. Best massage I've had while in Bali. 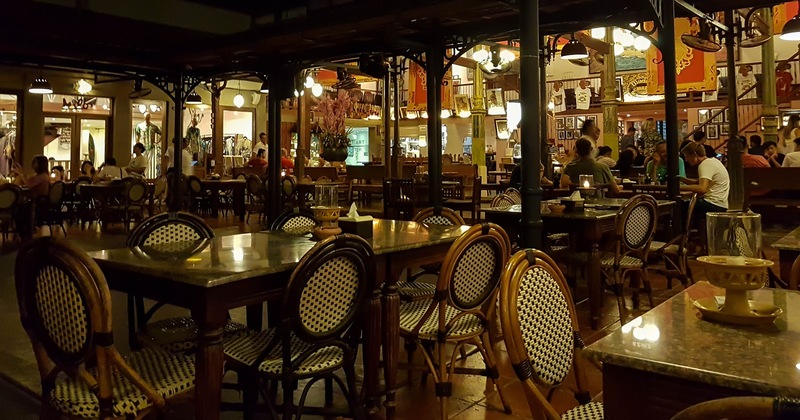 Most popular place to have your meals while in Seminyak is at Made's Warung. They have been serving great food since as long as I can remember. 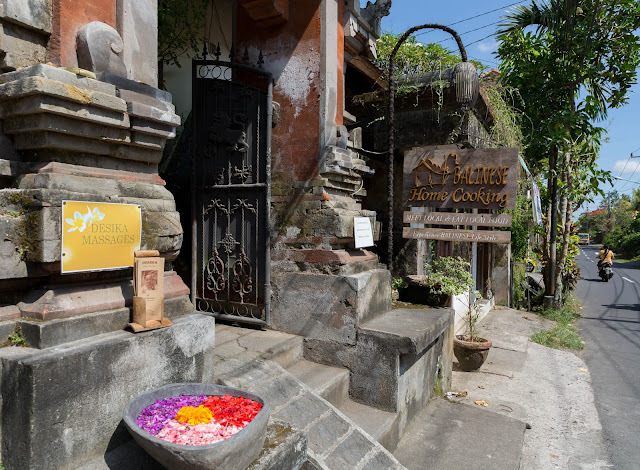 When in Ubud, head out to a place called Balinese Home Cooking. The family has opened their home compound to start up a home cooking restaurant. The food is amazing and the owner is friendly. You'll also get to meet people here as you dine. Worth a pop in while in Ubud. A whole host of other places to eat at are; Metis, Trattoria, Ultimo, Mosaic Beach Club, Wahaha Pork Ribs and Baku Dapa Warung just to name a few. Great place to pick up handicrafts and souvenirs. This market has food, coffee shops, paintings, home decor, shoes, bags and everything else. The prices here will be far cheaper than what you'll find in Kuta and Seminyak so shop here before you head off to other parts of Bali. When in Bali, stay in a Villa. There are various Villas available for booking. Airbnb has a wide range of villas to choose from. You'll find some on Agoda too. We loved staying in one while in Ubud as the rice paddy fields were just a great view to have when you wake up every morning. 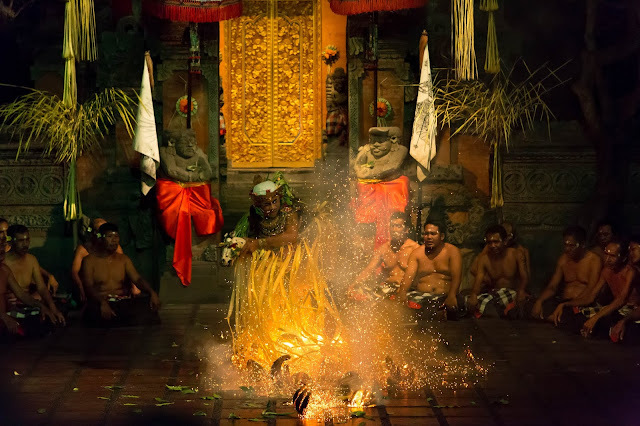 Catching a dance performance while in Bali, be it the Kecak Dance or the Barong Dance is a must. You'll be able to catch the Legong dance being performed at many places that have a dinner service too. Made's Warung in Seminyak has a performance on certain days of the week which was pretty good and we loved that the teacher would come on to explain the dance. 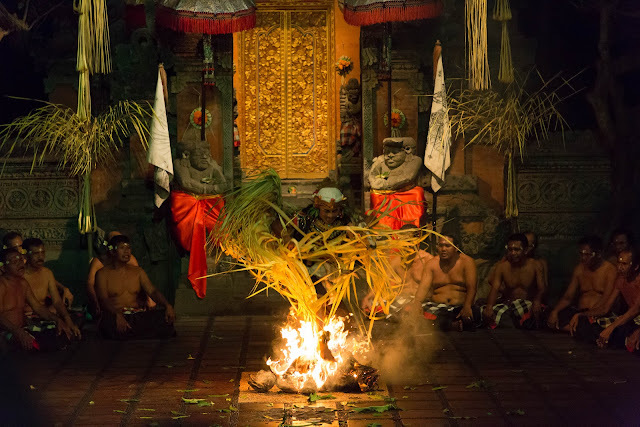 We caught the Kecak dance performance at the Sahadewa theatre in Batubulan Gianyar. They also perform the Sanghyang Jaran Dance which was mesmerizing and a great photo opportunity for those who want some great photos. While there are great places and things to do in Bali, there are also some things you might want to avoid. We decided to try out a tour at Bali because we had never done it before. And my advice, is to avoid the tours. Instead, plan a trip out to go see certain things and find a taxi to take you. Our tour included a trip to Turtle Island and snorkeling off Turtle Island. We have never done either and were more curious than anything else. Avoid these at all cost. It just wasn't worth it. The tour people here were pushy and there was a lot of misinformation. Not something you want when you're headed out on a boat to snorkel. Turtle Island was just sad. As an animal lover, I couldn't deal with it. The whole thing felt rushed. The animals looked sad. This was just something I think was not worth the trip. To be avoided unless you want to over pay on average food. We didn't realize that the taxi drivers are given a commission to bring customers here. He promised us a great meal and we were sorely disappointed. You'll get a great atmosphere but that is where it ends. The one single Balinese music played on a continuous loop will drive you crazy after a while. So, avoid if you can, you'll get great food cheaper elsewhere. We have always been interested in trying the national dish of every place we have visited. We were proudly told that Babi Guling was amazing and that it was the national dish. We tried it three times at three different restaurants and we just didn't like it. Which was kind of weird because the hubs is a pork lover. He just felt like there was something off in each dish; kind of like how things don't mesh together well. Needless to say, we will not be trying this again. While I do advise seeing a few temples when in Bali, we did a random stop at this Brahma Temple and weren't quite taken by it. I don't know if it was the lack of information, or maybe we were late and there were no guides. In any case, I'm not trying to give the temples a bad review. I just think, unlike temples in India, which we are used to, the ones in Bali are different. I would have liked to learn more. Instead, I'd advice that you take the temple visits at face value and just enjoy the beautiful architecture and the serene surroundings. Bali is a great place to visit if you don't expect too much or if you aren't into museums and tours all day. It is a phenomenal place to visit if you are looking at relaxing and enjoying the slower pace. 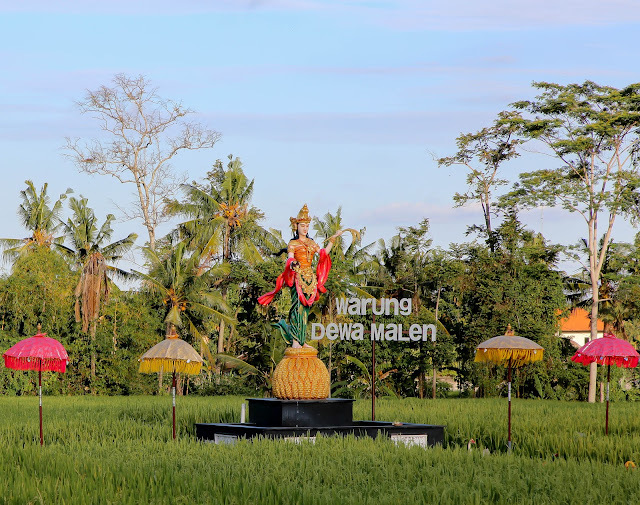 There are other places worth visiting that I did not cover in this blog; Besakih Temple, Tirta Empul, Monkey Forest, Uluwatu and Ulun Danu Beratan Temple. The things you can do to Ubud, Bali vary from cultural, shopping, eating, rafting and so much more. Ubud takes you back to a simpler Bali, away from the bustling Kuta and Seminyak. Ubud has always been known as the cultural hub in Bali. You'll see temples in streets, people heading for functions and prayers with family. Ubud is also known as the handicraft hub of Bali. When in Ubud, scooter, move around and stay out of the city if possible. There is much to see of the local people away from the city area. 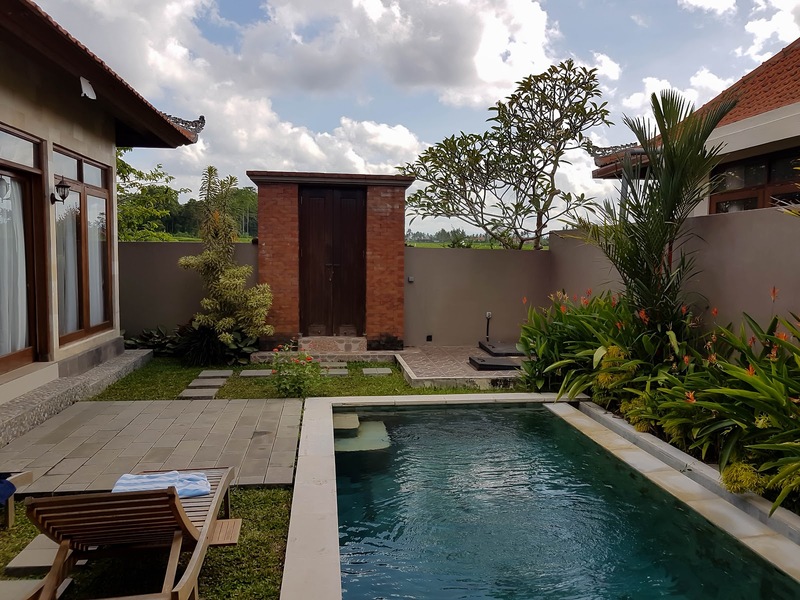 Rent a Villa if possible, Ubud has a large number of villa rentals and most of them are tucked away near paddy fields where you can enjoy a quiet night out swimming in your own pool. We stayed at The Sawah Villa, among the paddy fields, with our own private pool to lounge around and in an area that had 3 beautiful temples and local people to interact with. It has been 15 years since I returned to Bali, and much has changed. Gone are the quiet drives and small highways. The main roads are filled with outlet malls and big brands. It was a little difficult to get used to. I miss the old Bali... but change is inevitable wherever tourism touches. It was safe to say, I didn't recognise this new Bali and I wanted to search for a little bit of the local culture and the people I had grown to love when I spent months living here while I was growing up. Ubud is a place I will always come back to. It to me, still has the essence of the Bali I remember. 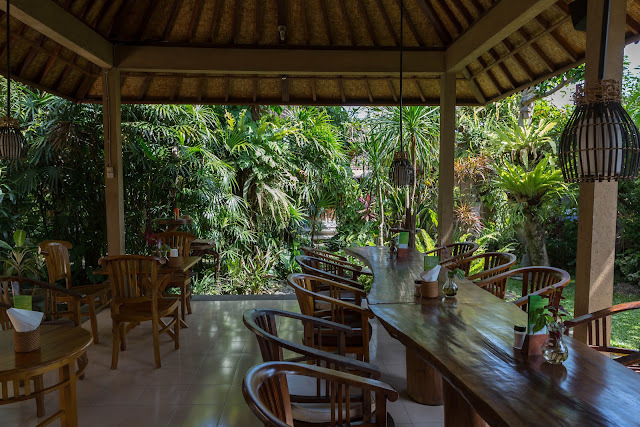 While staying here, it is best to hire a scooter to get around as there is much to see and you'll need to access places away from the main area to really see what Ubud is all about. While we initially went to Jalan Hanoman to check out the shops and restaurants, we quickly started settling for food outside of the main areas. We tried a touristy place and were not impressed. Besides the cave, there is a short hike up to a pretty scenic vantage point. But other than that, there isn't much here. There aren't many boards with information of the area. If you wish to learn more, you'd have to get a guide to explain the significance of the place. He had an amazing collection of paintings and his family members were nothing less than hospitable. If you're headed to Bali, don't just buy a painting at the local market from the shop, head over to an artist and buy what he has to offer. You'll be helping the local artists and going home with a memory to remember this country by. Forget the Ubud Art Market and head here if you're serious about buying home decorations. It is a good 2 kilometres of shops selling decoration items and furnishings for your home. You'll need a taxi or a scooter to do some serious shopping here. A great place to pick up handicrafts and souvenirs. This market has food, coffee shops, paintings, home deco, shoes, bags and everything else. Bargain hard for what you want. There's a thing to the bargaining, never back off if the seller agrees to your price so make sure it is an item you really want and then start bargaining. You'll find that prices start to reduce when you walk away. 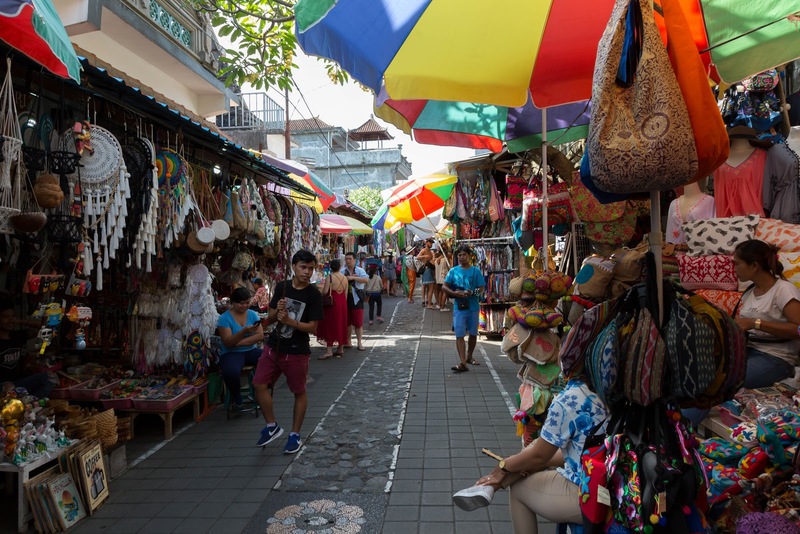 Also, the prices here will be far cheaper than what you'll find in Kuta and Seminyak so shop here before you head off to other parts of Bali. Stay in a private villa in Ubud, set among paddy fields and quiet nights under the stars. 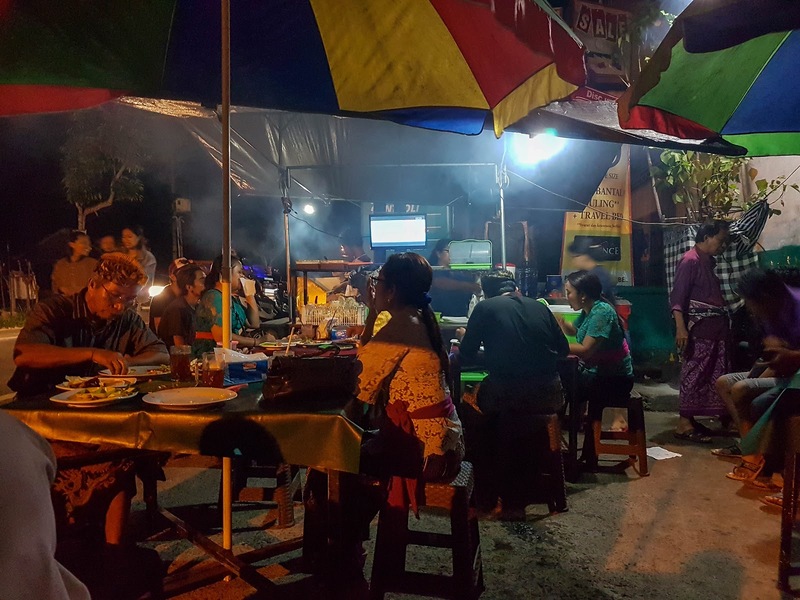 Ubud doesn't have a great night life scene and you'll find the time to sit around in the evenings enjoying your wine and beer. Ubud also has villas at a much cheaper rate compared to the touristy Kuta and Seminyak. It is also far quieter at night and we found that we enjoyed the villa experience far more in Ubud than we did elsewhere. Avoid the commercialized streets of Jalan Hanoman, instead, head just outside the main areas and try the local stuff. We had ayam bakar from a local seller in his make shift night food stall along Jln Goa Gajah, roti bakar from a stand and soto ayam from a small shop. We never suffered from stomach issues and the food was phenomenal. Take note though, if you're eating at local stands they don't cater for cutleries and you will find that your skills at using your hands will come into play here. I'd carry a wet wipe and sanitizer just to be safe. Although most places will have a sink and soap handy so you'll be safe. Eating at these places did have their advantages, we met the locals and had some pretty great conversations. You'll also find lots of people eating here after their temple visits, all dressed up in their traditional clothing’s and catching a bite before they head home. It is one of those things I love about being in Ubud and staying farther out away from the main town area. When in Ubud, you must head over to this place. It has amazing food. It is located in the house of a Balinese family which is a great way to see how Balinese people live. The owner is very chatty and loves to come by to see how you're doing. The food does take time but you won't notice it. We met other couples and had great conversations. Most people we met had been over a few times during their stay in Ubud. So, grab your scooter, and head over to this place to try out their food. Balinese Home Cooking is located at 20, Jl Rsi Markandya 2 Br. Payogan Kedewatan, Ubud. Catching a dance performance at the Sahadewa theatre is pretty worth it. Located a bit further off but accessible if you have a scooter, it is located in Batubulan in Gianyar. The theatre is spacious, clean and the performance well executed. They also perform the Sanghyang Jaran Dance which was mesmerizing and a great photo opportunity for those who want some great photos. You'll have to pay an entry fee to see this. While we felt it was not quite worth it, others might find it appealing. If you've never seen terrace cultivation of paddy, then this would be a relatively interesting place. You can walk down to the fields and get up close and personal to the paddy. It is quite a walk though. Growing up in South East Asia, I've seen far bigger cultivation in Malaysia and wasn't quite as impressed. If you want to appreciate it all from afar, there are cafes along the road overlooking the fields, where you can grab a coffee and take it all in. Most cafes have set up swings where you can pay to have a swing over the paddy. Yet another place accessible by paying an entry fee. It is quite a walk up and down via staircase to access the waterfall. While it was a nice experience, we didn't quite get the need to pay to see and swim here, considering you'll get to access loads of free waterfalls in South East Asia. Ubud is a fantastic place to stay at while in Bali. I'd suggest to stay away from the touristy stuff if you don't want to be too disappointed. Instead, head out and explore the area. 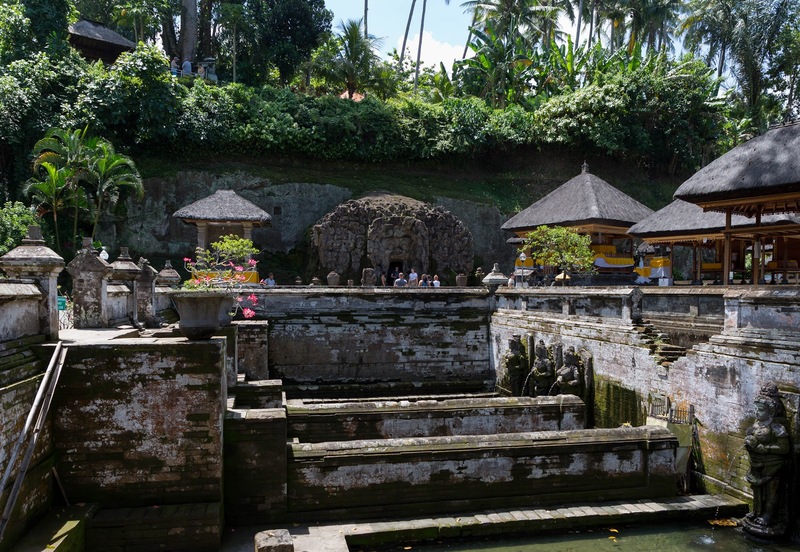 Other places you can access from Ubud which we didn't cover on this trip are Besakih Temple, Tirta Empul, Monkey Forest and Ulun Danu Beratan Temple. Some of these places will require that you hire a taxi and head out.